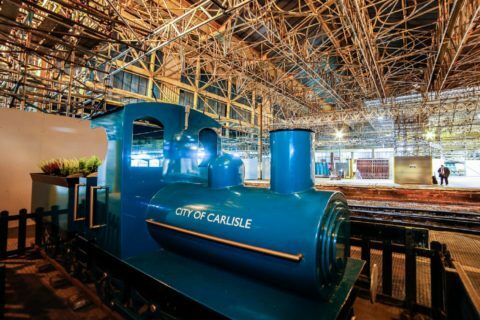 The intricate, in-house designed, 1,400-tonne scaffolding temporary works began at the Grade II listed building (which forms part of the Carlisle conservation zone) in January 2016 – as leading principal contractor Galliford Try aim to refurbish the train-shed roof, maintain the station and extend the property’s life by at least 30 years. Large sections of the roof had been damaged partly by seagulls, which had broken many of the historic glass panels dropping stones. These panels are being replaced with safer Ethlene tetra fluoro ethylene (ETFA) options, accessed via the Palmers scaffolding. 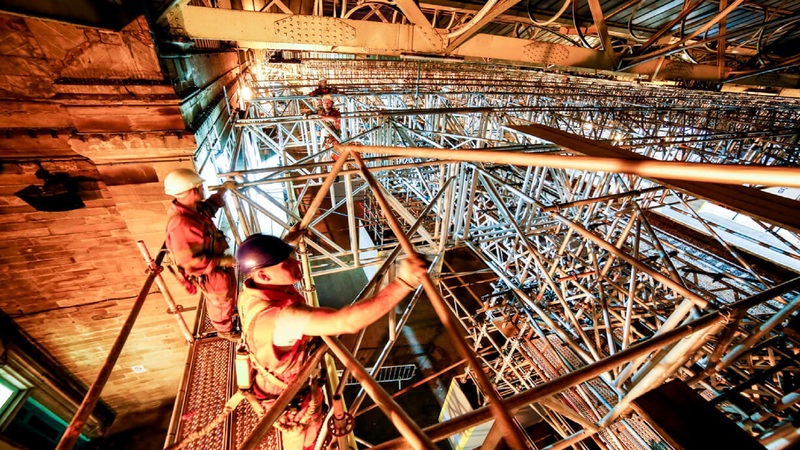 The in-house designed Palmers scaffold is required to provide access and protection decks and is 47m in span and 160m long, spanning 13 roof bays and the platforms below to create a working level 9m above the ground level. 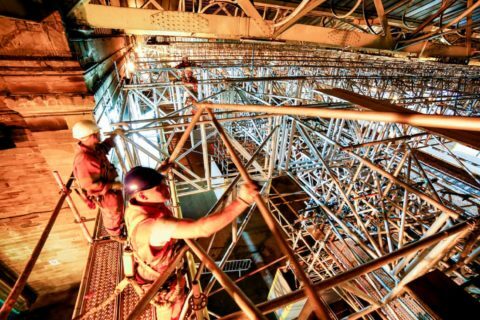 It has been created by more than 20 advanced scaffolders, with additional support by Palmers management and supervisors. 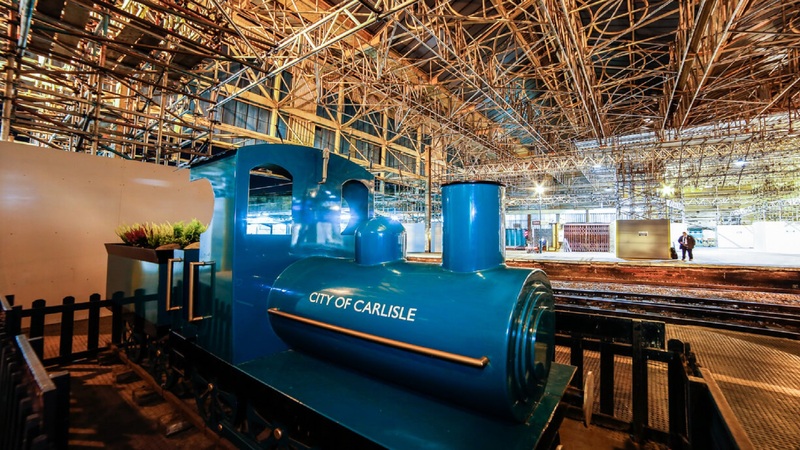 And the modern access solutions will enable the historic roof to be refurbished, including glass removal and reconstruction together with steel repairs where necessary. 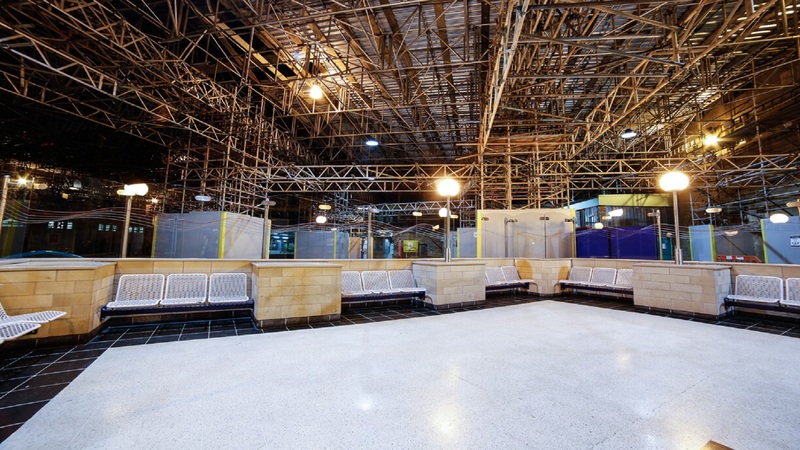 The solution supplied by Palmers is based on modular access and protection scaffold systems bespoke to the firm. 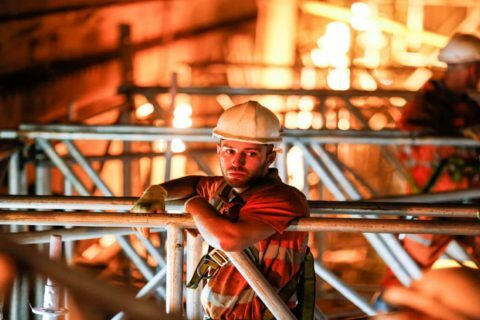 The key component within the scaffold structure is ‘Palmers 1350 Bridge Panel System’ – which incorporates bracing and end panels, so the components can be used in either beam structures to span the railway or support columns to provide bases for the protection decks. 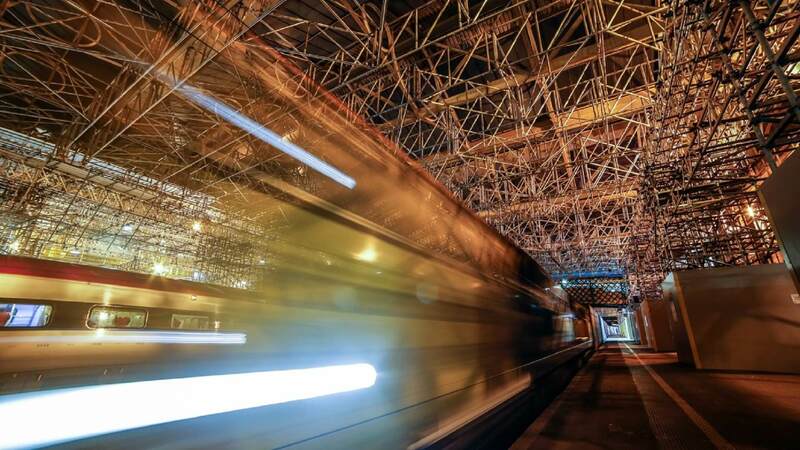 The use of the Palmers bridging panel system is a key factor in allowing Palmers to design a scaffolding structure which can span the railway lines. This system crucially allows the works to carry on without interfering with the running of the railway – as well as protecting the commuting passengers and railway staff who operate within the station 365 days a year, where there are in excess of one million passenger movements through the station each year. 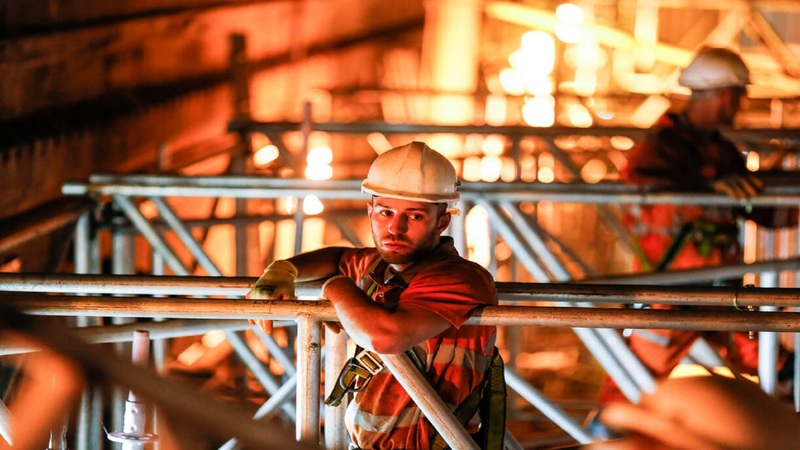 In addition, all scaffolding works over the tracks’ electrified OLE System have to be erected during night-time possessions, which restrict the working time to a short five hour window overnight, from circa midnight. Palmers design and construction team developed a scaffolding structure and solution that could be partially erected away from the main rail line to help minimise the risk of working at height and improve productivity by carrying out works away from the railway environment outside the short night time possession windows. This historic station, which opened in 1851, is a major West Coast Main Line stop under Network Rail control, 102 miles south of Glasgow Central, and 299 miles north of London Euston. 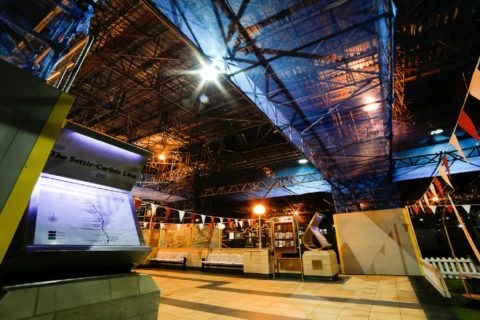 The station has rail traffic operating almost 24 hours 365 days a year and is part of the West Coast Mainline rail service operated by Virgin Trains and the Sleeper trains from London Euston to Scotland’s main destination cities. 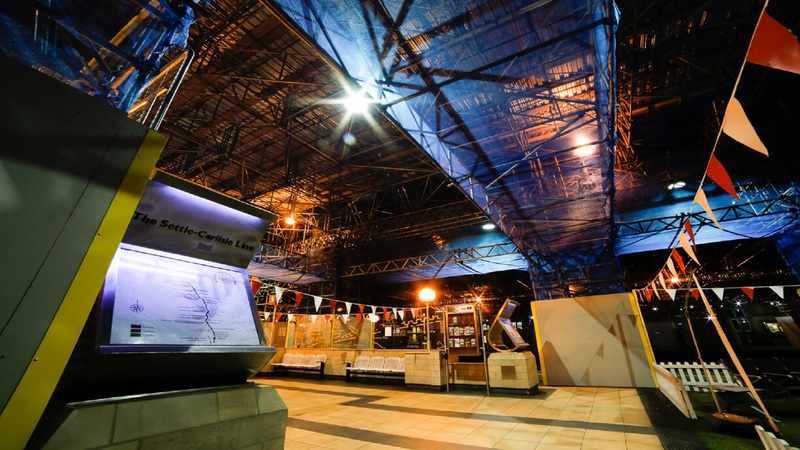 The majority of the 2016 buildings works are to be carried out to the high-level roof which covers the main station concourse and platform. The roof is predominantly a glazed structure which consists of 4,004 glazing panels. The main roof structure spans approximately 47m East-West across the concourse, two platforms and three intervening rail tracks and 160m north to south. The upper glazing panels are 2340mm x 600mm and the lower are 2440mm x 600mm. There are defective glazing panels (cracked and broken) across the entire station roof.